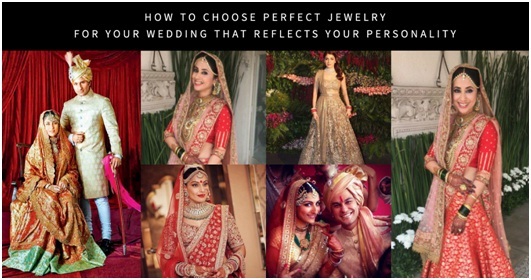 How To Choose Perfect Jewelry For Your Wedding That Reflects Your Personality? It’s a very known fact that your first impression is your last impression. On your wedding day, you will meet many new people and refresh memories with old family and friends. The wedding day is your opportunity to display your personality by the clothes you are wearing, types of jewelry you choose to accessorize with for example: head tikka, nose ring, mangalsutra, necklace, earrings, bangles, waistband, ring and other hand jewelry. It may be quite overwhelming for you to look the perfect bride without compromising your personal style. In this article, I will give you some examples of personalities and what jewelry style they can adopt. You know yourself the best, check out what style you best resonate with. Remember this is just the beginning you can take these concepts to a new level. If you are the bride that loves simple things in life, being a bride can be a bit hard but not impossible. For example, Shahid Kapoor’s bride, Mira Rajput is an extremely simple person at heart. Her bridal look had some of the characteristics of her personality. Mira wore a stunning pastel pink lehenga and to match she wore a royal navaratna necklace and tikka. Overall the makeup was very simple and the jewelry stood out. Similarly, if you love simplicity opt for a simple pastel shade outfit and accessorize with some elegant jewelry. Let’s admit not all girls love simplicity. There are some of you who love to be fun-filled and mischievous. Once they enter a room, the atmosphere changes from a static to a more vibrant and fun. If you are in this category, you know it well. For such girls wedding outfit is too much of a serious attire. But there are ways on how you can add fun to your bridal look. Ileana D’cruz from her Pernia’s pop up shop shoot is an example I love sharing. They are trying to portray a bride that is more fun-loving and free-spirited. You can achieve this by mixing your everyday jewelry with some bridal jewelry. The red outfit she is wearing with her everyday wear gold chain. To make it feel bridal, she is wearing a nath and traditional earrings. Also if you pay close attention she is wearing black leather boots to give that fun-filled vibe. For a fashionable girl, being a bride is her one of the most important opportunity where she can express her true self to the fullest. Being fashionable is not just being well put together. Instead it means pushing your boundaries to create something unique and stylish. 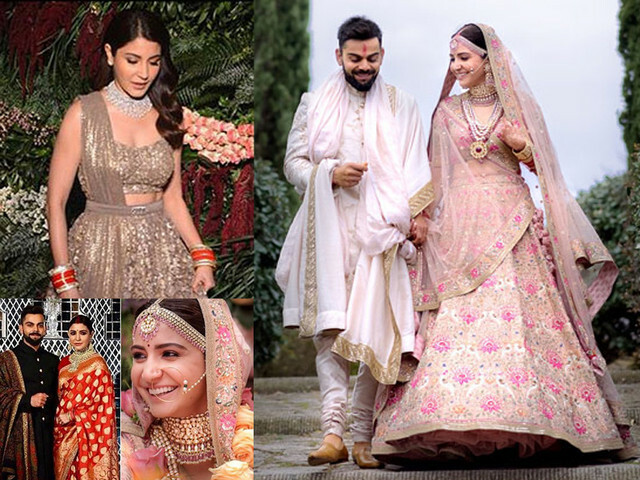 Anushka Sharma at her wedding recently completely ditched the stereotypical red outfit to something more romantic and pastel shades like a pinkish peach. All the jewelry including the wedding flower garlands went with the same color palette. It looked like one cohesive look. Even at the other wedding events, she looked equally stylish and outside the box. Especially her reception red saree took everyone’s breath away. If you are a girl who has always dreamt of looking the most traditional and authentic bride, then this look is just for you. Dressing up to this detail only happens if you are a bride, so why not take advantage of it and go all in. Shilpa Shetty who is known for her wit and style also choose to go entirely traditional and authentic with her outfit, jewelry and makeup and hair. Shilpa Shetty wore the most traditional bridal outfit and the most elaborate jewelry to adorn her for the wedding day. Right from the extravagant head tikka to bajubandh, waistband and the red chuda in her hands, made her look the most regal and a timeless bride. Just remember being traditional and authentic never goes out of style. This style has been adopted for centuries. In the 21st century, a lot of women have their own careers and have a voice of their own. Women want to look modern and sophisticated. On her wedding day, a bride wants to look the best and be comfortable with what she will be wearing. 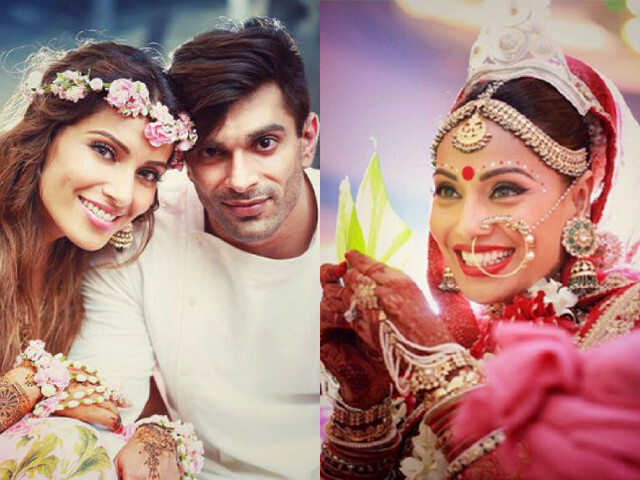 Bipasha Basu on her wedding reminds me of the exact same look that a modern bride aspires to become. She was wearing a bright red lehenga and her accessories included a lot of detailed pearl and kundan work with green gemstones for contrast. The big bold bindi enhanced her face and stood out. Large choker necklace lifted her face and made it look very confident and glamorous. Even on her mehndi event, she went for all natural pastel shades flower jewelry that just was so refreshing to see. You already know your personality and now you’re equipped with tips on how to express your style on your big day. This is your chance to do what your heart desires without being afraid or thinking what other people will think. This is your day to sparkle and shine so do it your way. I hope these examples were helpful to you. Please share what’s your personality and how do you dream your wedding day look to be. Author Bio: Jinal Sampat is jewelry designer at Sampat Jewellers. Her focus is on innovation and creation of jewelry pieces that are meaningful and hold long-term value. She creates versatile designs with Indo-Western elements. Jinal holds her graduate degree from Rhode Island School of Design (RISD). You can find her on Instagram.